One Indian social entrepreneur has given women from low income groups in India dignity, by making it possible for them to afford to buy sanitary towels and provide them with an income at the same time. 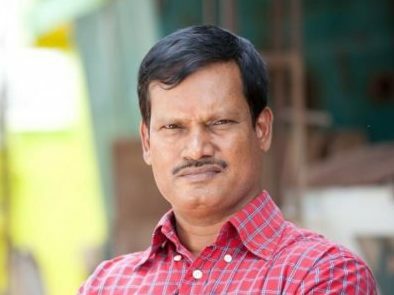 Arunachalam Muruganantham is the person who changed things. From a poor background in the South of India, he created the world’s first low-cost machine to produce sanitary towels. According to a report by market research group AC Nielsen, “Sanitary Protection: Every Woman’s Health Right” 88% of women in India are driven to use ashes, newspapers, sand husks and dried leaves during their periods. As a result of these unhygienic practices, more than 70% of women suffer from reproductive tract infections, increasing the risk of contracting associated cancers. Muruganantham re-engineered a sanitary machine, and in 2006 it won the award for the best innovation for the betterment of society from the Indian Institute of Technology, Chennai. Plus, he also received an Indian presidential award for innovation. Currently more than 1300 machines made by his start-up company, Jayaashree Industries, are installed across 27 states in India and seven other countries.. This social entrepreneur sells the £2,600 machines directly to rural women through the support of bank loans and not-for-profit organisations. A machine operator can learn the entire towel-making process in three hours and then employ three others to help with processing and distribution. Most Influential People in the World 2014. Recently he gave lecture to 70 CEO’s of Unilever including the CEO of Unilever Mr.Paul Polmen.